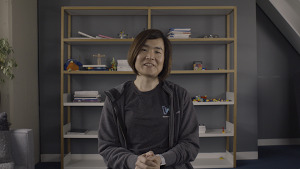 Since we launched Drive for Work 9 months ago, we've watched as more and more businesses moved to the cloud — and seen that they prioritize data security as much as we do. Security ranks at the top of the list of concerns that companies have about moving to the cloud, which is why we’ve put security front and center in our products from the beginning. And to keep your company’s data even more secure in Drive, we’re launching new sharing controls, alerts and audit events to Google Drive for Work and Google for Education over the next several weeks. Sometimes different file settings make sense. You might, for example, have a research department that needs to keep information confidential and a sales team that needs to share presentations with their clients. To help manage these different sharing needs, now when you make selections in Drive settings from the Admin console, you can turn off sharing outside the domain for one organizational unit, while still allowing others to work and share files with anyone they need to. 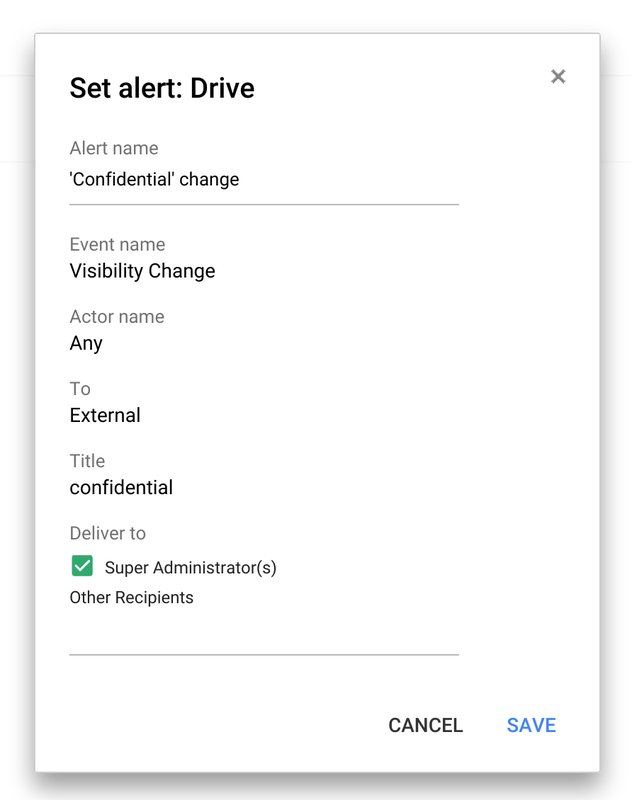 Create custom Drive alerts and track more events with Drive audit To keep track of when specific actions are taken in Drive, you can set up custom Drive alerts. So if you want to know when a file containing the word “confidential” in the title is shared outside the company, now you’ll know. And there are more events coming to Drive audit, including download, print and preview. For all G Suite customers: Set up custom admin alerts to find out when things change There are lots of moving parts to running a company, and now it’s easier for IT to find out about the things they care about with custom alerts — like when a new app is installed or a shared calendar is deleted — and get those right in their inbox. Recovering passwords isn’t the most pleasant thing we do in our lives. But now IT can let employees securely reset their own passwords, so they don’t lose valuable time being locked out of their account. If this doesn’t make sense for your organization, admins can simply turn this ability off. With Information Rights Management (“IRM”) you can disable downloading, printing and copying from the advanced sharing menu – perfect for when the file you’re sharing is only meant for a few select people. This new option is available for any file stored in Google Drive, including documents, spreadsheets and presentations created in Google Docs. When it comes to sharing, like giving final inventory lists to your caterer or last minute logos to your design agency, you want to make sure people can see it right away — whether they use Drive or not. Now, you can share with any email address and they’ll be able to view the files you share —without having to sign-in to a Google account. Admins can disable this feature for certain departments that want to require sign-in before , while enabling it for others. All the above are rolling out over the next month. 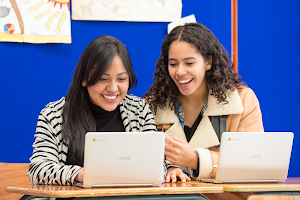 We’re also working on the ability to establish trusted domains, so businesses and schools that have multiple G Suite domains or want to work with trusted partners or customers, can select multiple G Suite domains that are OK to share with from Drive and Classroom. And on expiring access, because occasionally you only want to share files for a temporary amount of time. With expiring access you can set a future date when access will be removed. Stay tuned, there's more to come from Drive and Drive for Work.